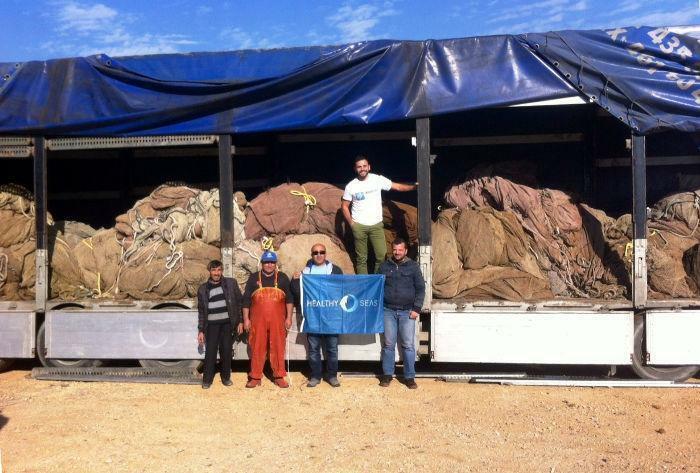 Eleven tonnes of waste fish farm nets, 8 tonnes of waste fishermen nets and 2 tonnes of derelict ghost nets fished from the seabed in Tolo and Kalymnos will be recycled to produce high quality yarn which will then be used for create beautiful garments. This is our contribution to the “Healthy Seas” initiative, a first for Greece as far as recovery activities of this aim and scope go! To produce the above results we partnered with 3 fishermen associations in Attica, the Sea Breeze Divers Club and Nireus Aquaculture. The “Healthy Seas” Initiative promotes marine protection and reduces ocean debris and is a prime example of how taking a circular approach to business practices and partnerships can yield new opportunities and fight a serious problem such as ghost nets. Moreover, there is a growing body of evidence to shows that marine litter, in particular derelict fishing nets (“ghost nets”), poses serious environmental, conservation, animal welfare, human health and economic costs that are of relevance to many stakeholders. It is a global problem that requires urgent action. If implemented on a large scale, the waste diversion and reverse supply chain model will encourage a global closed-loop manufacturing economy, completely changing the way companies source manufacturing materials, and providing choices that empower consumers to finally move away from the tired linear one-time use model. 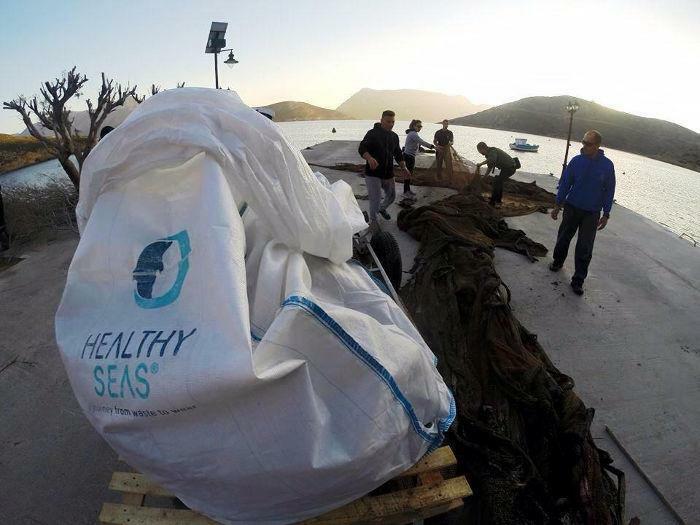 For 2016, MEDASSET will continue to fight against ghost nets by further expanding “Healthy Seas” activities in Greece and by constantly informing the public of this serious problem. Stay tuned!